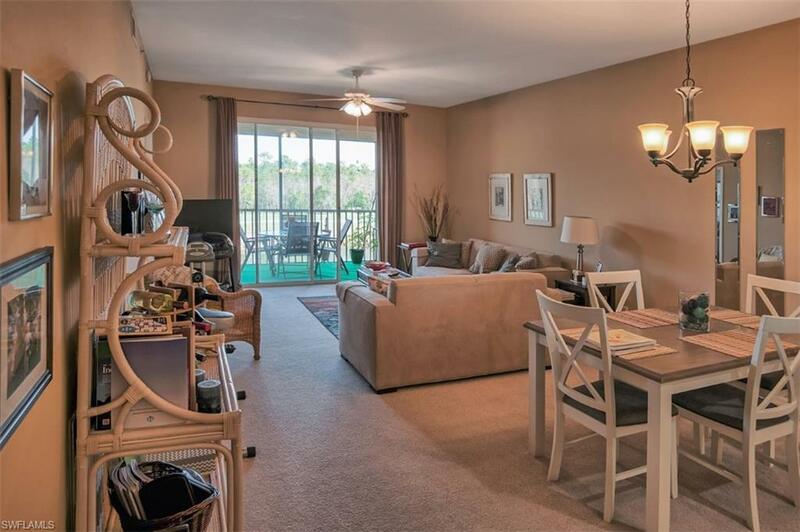 Stunning lake and golf course views from this 2BR/2BA third floor condo in Naples Heritage Golf & Country Club. Golf Membership is INCLUDED and access to all of the club house facilities. (resort pool, fitness center, fitness classes, tennis courts, restaurant, etc.). 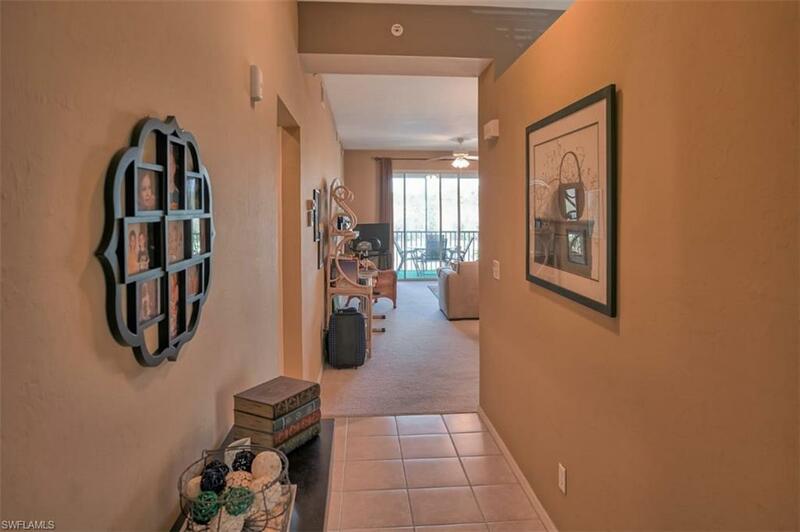 Turnkey furnished, don't miss this one as it will not last long! 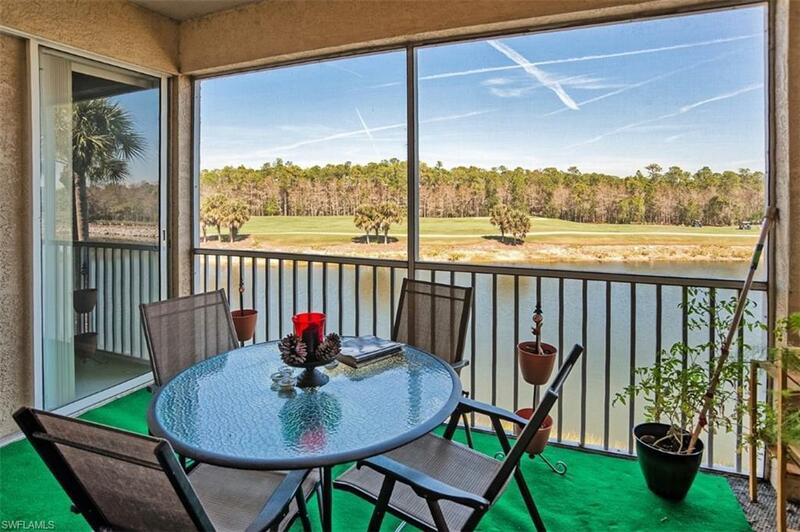 This home is in great condition and is ready to move in, perfect for the avid golfer. Membership to the Championship 18 hole golf course is included at Naples Heritage, along with access to an active tennis program. The newly renovated club house features a full service restaurant and bar, fitness center, pool, spa, and much more. 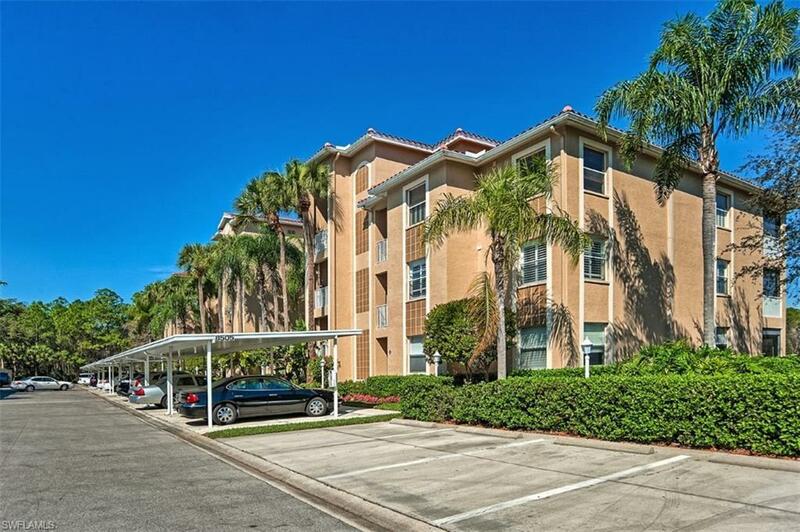 Naples Heritage is a gated community located only 6 miles from 5th Ave S., down town Naples, and the sunny sandy beaches of Southwest Florida. Great value at this price, don't let this one get away!